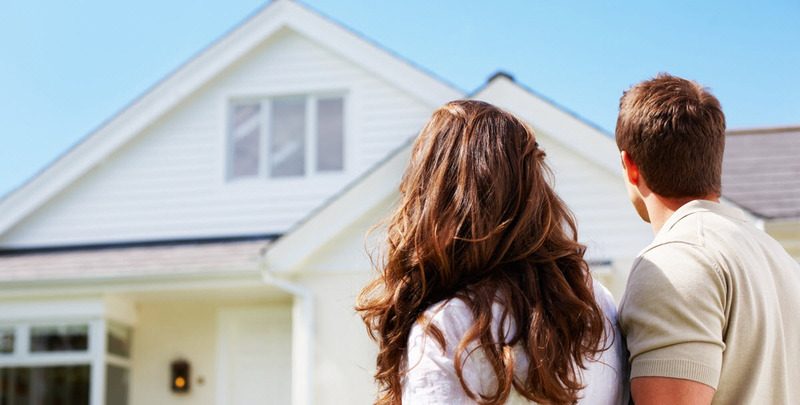 Selling your home—especially if you’ve never done it before—can be surprisingly time-consuming and emotionally challenging. Strangers will come into your home and poke around in your closets and cabinets. They will criticize a place that has probably become more than just four walls and a roof to you, and then, to top it all off, they will offer you less money than you think your home is worth. With no experience and a complex, emotional transaction on your hands, it’s easy for first-time home sellers to make lots of mistakes, but with a little know-how, many of these pitfalls can be avoided altogether. Read on to find out how you can get the highest possible price for your home within a reasonable time frame—without losing your mind. Once you decide to sell your home, it can be helpful to start thinking of yourself as a businessperson and a home seller, rather than as the home’s owner. By looking at the transaction from a purely financial perspective, you’ll distance yourself from the emotional aspects of selling the property that you’ve undoubtedly created many memories in. Also, try to remember how you felt when you were shopping for that home. Most buyers will also be in an emotional state. If you can remember that you are selling not just a piece of property but also an image, a dream and a lifestyle, you’ll be more likely to put in the extra effort of staging and perhaps some minor remodeling to get top dollar for your home. These changes in appearance will not only help the sales price, but they’ll also help you create that emotional distance because the home will look less familiar. Although real estate agents command a hefty commission, trying to sell your home on your own, especially if you haven’t done it before, is probably ill advised. A good agent will help you set a fair and competitive selling price for your home that will increase your odds of a quick sale. An agent can also help take some of the high emotion out of the process by interacting directly with potential buyers, so you don’t have to and eliminating tire kickers who only want to look at your property but have no intention of putting in an offer. An agent will also have more experience negotiating home sales than you do, potentially helping you get more money than you could on your own. Further, if any problems crop up during the process—and they commonly do – an experienced professional will be there to handle them for you. Finally, agents are familiar with all the paperwork and pitfalls involved in real estate transactions and can help make sure the process goes smoothly. Whether you’re working with an agent or going it alone, setting the right asking price is key. Remember the comparable market analysis you did when you bought a home to figure out a fair offering price? Buyers will do this for your home, too, so as a seller you should be one step ahead of the game. Absent a housing bubble; overpriced homes do not sell. Don’t worry too much about setting a price that’s on the low side because, in theory, this will generate multiple offers and bid the price up to the home’s true market value. In fact, underpricing your home a bit can be a strategy to generate extra interest in your listing. So many buyers look for homes online these days, and so many of those homes have photos that you’ll be doing yourself a real disservice if you don’t offer photos as well. At the same time, there are so many poor photos of homes for sale that if you do a good job, it will set your listing apart and help generate extra interest. Good photos should be crisp and clear, should be taken during the day when there is plenty of natural light available, and should showcase your home’s best assets. Consider using a wide-angle lens if possible – this will allow you to give potential buyers a better idea of what entire rooms look like. With the above-average number of people who will be on your property, you want to make sure you are insured in case someone has an accident on the premises and tries to sue you for damages. You also want to make sure that there are not any obvious hazards at the property or that you take steps to mitigate them (keeping the children of potential buyers away from your pool and getting your dogs out of the house during showings, for example). Any problem with the property will be uncovered during the buyer’s inspection, so there’s no use hiding it. Either fix the problem ahead of time, price the property below market value to account for the problem or list the property at a normal price but offer the buyer a credit to fix the problem. Realize that if you don’t fix the problem in advance, you may turn away a fair number of buyers who want a turnkey home. Having your home inspected before listing it is a good idea if you want to avoid costly surprises once the home is under contract. Sellers who do not clean and stage their homes are throwing money down the drain. If you can’t afford to hire a professional, that’s OK – there are many things you can do on your own. Failing to do these things will not only reduce your sale price but may also prevent you from getting a sale at all. For example, if you haven’t attended to minor issues like a broken doorknob, a potential buyer may wonder whether the house has larger, costlier issues that haven’t been addressed. Have a friend or agent with a fresh pair of eyes point out areas of your home that need work. Because of your familiarity with the home; you may have become immune to its trouble spots. Decluttering, cleaning thoroughly, putting a fresh coat of paint on the walls and getting rid of any odors will also help you make a good impression on buyers. If someone wants to view your house, you need to accommodate this person, even if it is inconvenient for you. And yes, you must clean and de-clutter the house before every single visit. A buyer won’t know and won’t care if your house was clean last week if it isn’t clean when he or she views it. It’s a lot of work but stay focused on the prize. It’s more than reasonable to expect a buyer to bring a pre-approval letter from a mortgage lender (or proof of funds for cash purchases) showing that he or she has the money to buy the home. Signing a contract with a buyer whose purchase of your home is contingent on the sale of his or her own property may also put you in a serious bind if you need to close by a particular date. Even if you do all these things when selling your home, it’s best to prepare mentally and financially for less-than-ideal scenarios. The house may sit on the market for far longer than you expect, especially in a declining market. If you can’t find a buyer in time, you may end up trying to pay two mortgages, having to rent your home out until you can find a buyer, or in dire situations, in foreclosure. However, if you avoid the costly mistakes listed here, it will go a long way toward helping you put your best foot forward and achieving that seamless, lucrative sale every home seller hopes for.